Vietnam also has a good appeal to small and midsized businesses. When a smaller business outsources to a company in India or China, they are like a guppy in the ocean. If you only need five or 10 people to do a project, you might not get the attention you need. Vietnam has the flexibility to meet the needs of SMBs. CIO.com: What’s the business and innovation environment like in Vietnam? Frazzetto: In the U.S. there has been investment in things like fiber optics, running wire, and having that physical connection when it comes to bandwidth and communication. When you look at more newly developed countries like Vietnam, they are going to bypass more traditional kinds of infrastructure and focus their talent on becoming more advanced in mobile and wireless technologies. Vietnam’s capability in mobile technologies is an advantage for companies looking to outsource. 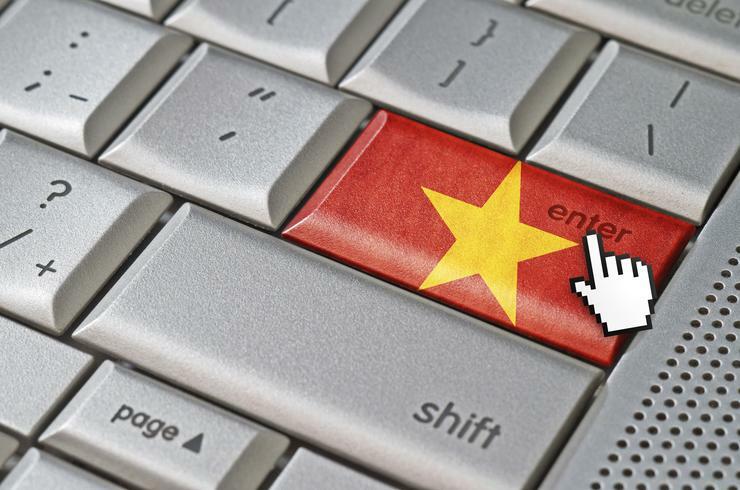 CIO.com: What are the biggest drawbacks when sourcing IT work in Vietnam? Frazetto: As mentioned, the language can be a challenge. Are there ways around it? Absolutely. At Harvey Nash, we have a team of technical staff onshore to help bridge the language gap. These resources are all trained in technical roles like developers, business analysts and architects, not customer service or account managers. These resources help support communication and are not paid for by the client. Another way we get around the language barrier is to always make sure at least some of our staff are competent in speaking English. But, keep in mind that the challenges only relate to speaking skills. It does not impact writing and documentation. Written skills are superior because English is Vietnam’s official second language. Then there is the time challenge. Some companies are still concerned about the time differences but this, of course, is not specific to Vietnam. CIO.com: What impact might the passage of the Trans-Pacific Partnership (TPP) have on U.S. businesses outsourcing work to Vietnam? Frazzetto: I think it will hurt China because it is not part of the TPP. On the other hand, it may influence more companies to look at Vietnam (since they are part of the TPP supporters) as a great outsourcing option. I see a similar impact as when Vietnam entered the World Trade Agreement in terms of supporting and driving business in a more collaborative way. CIO.com: What advice would you offer companies considering outsourcing to Vietnam? Frazetto: Vietnam is truly unique in its low turnover rates. This reinforces the need to be sensitive to helping them feel like a natural extension of your workplace environment. I also advise on the need to be sensitive to how you bring a new person onboard and factor in the necessary time to make sure they comfortably fit into your environment. Harvey Nash’s philosophy is that our clients train us once and then it is up to us to maintain the training on [ongoing] basis for any additional resources a client may need. The only exception occurs when there is a technology change.